← Caption Contest 3 Winner! You can win your very own custom illustration (like this, or this) simply by exercising your wit and humor! In the comments below, enter dialog that should appear for the characters. Keep it suitable for prime time television, make it funny, and just win, baby! Rollerskater2: ... here's your tip. Don't "blow" it all in one place, heh! Rollerskater1: I can’t be expected to reserve the bunny costume on time when they change the date every year. Rollerskater2: Now do you want your chocolate egg or not? Shoe Shine Skater: Thank you Easter Bunny! Big skater1: Hey there, kid! you want a new ball? Kid:Who the heck are you? Big skater2:I’m, well, I’m… Ah, just have the damn ball, you little punk. Big Skater 1: OK punk, let’s make the race interesting. You hold this grenade thing and I’ll keep the pin. Big skater 2: Then I skate and you try to keep up. Sound like fun? Little skater: Sure. We go on three, right? 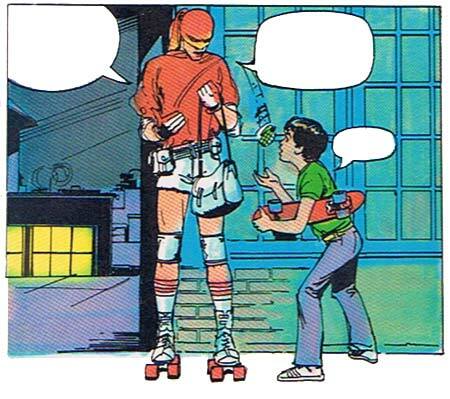 Rollerskater: Hey kid, what do you do when a blond throws a grenade at you? Rollerskater: Take out the pin and throw it back, Catch! Rollerskater1: Skater?!? What? No, this is protective gear. Juggling a purse full of hand grenades is dangerous. Kid: Thanks, now I start by pulling out this pin thingy, right? Rollerskater1: Well, well, well. What do we have here? A pack of C-4 and a bunch of Dinamites. Hey! What’s that? Rollerskater2: A hand-granede? That’s so lame! It doesn’t even have a pin! To the garbage with it kid! Kid:What’s this? Some kind of ball or something? Man-lady:Er… yeah– a ball. Just pull out the pin and throw it at your feet as hard as you can while i go hide– i mean… uh… Go behind this brick wall and find my pistol just incase you don’t die-I mean have enough fun. Skater: Never fear, Produce Gal is here! Kid: Oh boy! An avocado! Rollerskater: Ok, I always wanted to do this. Grenade!!! Maskman: that is why you never accept candy from strangers bobby. so here’s some thing for you. Maskman: No…is…ah….its a ball..now go play…along way away from me. Little Timmy: Hey mister, got change for a dollar? Creepy Skate dude 1: Hmmm… Lemme see if the purse I stole from that helpless woman has any? Rollerskater1: Dammit, what are these lines?… It seems my shirt has been torn. Rollerskater2: Ill just fix it with a pin! Hold this while i fix my shirt kid. And while your at it go get me a pizza. Shoe Shine Skater: Yes sir!! Skate Man 1: Drat! My evil arch-nemisis has tranversed onto gravel! I cannot follow! Hey kid, wanna make twenty bucks? Skate Man 2: Take this, go to that scary, abandoned, gravel-surrounded warehouse, and throw it at that ominious looking demon with the photon disintegrator! 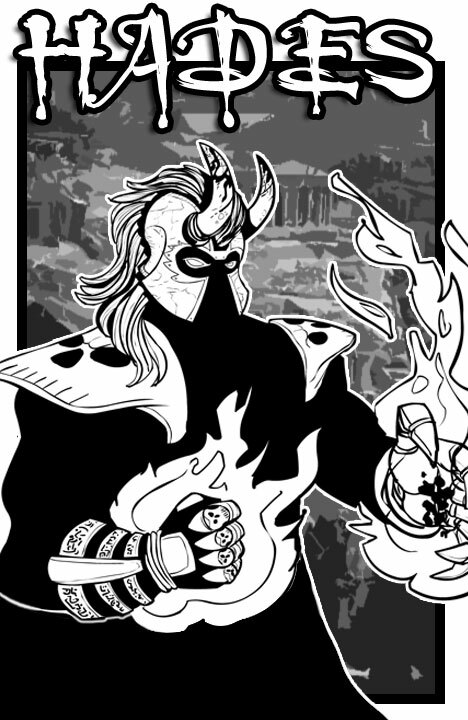 Skate Man 2: …here, have an autographed grenade. Weirdo: Hey kid, I’m skateman! Kid: You look stupid, mr man-lady! Weirdo: *Oh God, not again* Here’s a ball! Go catch! Fashion Disaster on Skates1: Hey Kid, I bet you like Power Rangers right? Well, I have one of their new-age morphers right here. FDoS2: So go to that warehouse, pull the pin, then run in and morph into a Power Ranger so you can beat up the bad guys! Little Kid:…..but…I like V.R Troopers…. Sk8trGirl1: :Tommy, i told you before, you can’t come along unless you wear a mask! Ska8trGirl2: Now, take this, go home and play fetch with Fido. Boarder Boy: Ahh, gee wiz, Mandie. You get all the fun. kid(bubble 1) Hey mr. is that a purse? dude(bubble 2) I told you already!It’s a EUROPEAN CARY-ALL! kid (extra bubble I wish there was) What’s this? dude (bubble 3) I told you already, it’s a pineapple. Now get out of here. Go play with your pineapple…while I skate down some CRIME!